With access to 7 specialized toolsets, you have more than 750,000 intelligent objects, styles, parts, features, and symbols to choose from when drawing. Designers can automate floorplans; quickly draw piping, plant equipment, or electrical panel layouts; incorporate GIS data into the planning process; edit scanned drawings and convert raster images into DWG objects all while working in a familiar AutoCAD interface. The toolsets now included in AutoCAD offer intelligent features that will help you work faster and be more efficient. For example, by using the Architecture toolset to model a design, you'll save a significant amount of time incorporating real architectural elements such as doors, walls, and windows, instead of starting from lines and circles; creating a wall in AutoCAD requires 5 steps, whereas the same outcome in the Architecture toolset requires only 3 steps. Now imagine how productive you could be with all of the industry-specific toolsets at your fingertips. Autodesk AutoCAD Civil 3D software is a civil engineering design and documentation solution that supports Building Information Modeling (BIM) workflows. AutoCAD Civil 3D helps civil engineers, drafters, designers, and technicians better understand project performance and intent, improve and maintain more consistent data and processes, and respond faster to design changes. Additionally, users can help streamline time-consuming tasks such as survey field to finish, corridor design, parcel layout, gravity and pressure pipe modeling, and grading with specific tools and customizable design standards. Autodesk Revit software is built for Building Information Modeling (BIM), helping professionals design, build, and maintain higher-quality, more energy-efficient buildings. Using the information rich models created with Autodesk Revit software, architects, engineers and construction firms can collaborate to make more informed decisions earlier in the design process to deliver projects more efficiently. Any design changes made in Revit models are automatically updated throughout the model, keeping designs and documentation coordinated and more reliable. Autodesk Revit includes features for architectural design, mechanical, electrical, plumbing, structural engineering, and construction. Available as part of Autodesk Building Design Suite Premium and Autodesk Building Design Suite Ultimate editions. Create Revit models across multiple sites or companies without any special server hardware or IT setup. Subscribe to the Collaboration for Revit service and receive a subscription to A360 Team. Now available for purchase as 25, 100, or 1000 subscription packs. Call for pricing. Autodesk BIM 360 Design is a Cloud Subscription service that works with Revit software to connect building project teams with centralized access to BIM project data in the cloud. With no need for costly IT setup, BIM 360 Design is a turnkey solution that allows project stakeholders from multiple companies to concurrently author a model. Teams stay connected in real time using the Communicator chat tool within models. Integrated with Autodesk A360, BIM 360 Design enables the entire project teams to work on shared building information models, anytime, anywhere via web browser or mobile device. A cloud-based service accessible at the desktop or mobile devices, BIM 360 Docs delivers anywhere, anytime collaborative access to the entire project team. Connect your project team with one app to publish, manage, review, markup and approve all project plans, models and documents. BIM 360 Docs web service ensures that the entire construction project team is building from the correct version of documents and plans. Tailored for the needs of contractors and construction project teams, BIM 360 Docs delivers tools for publishing, managing, reviewing, and approving all project plans, models and documents from the earliest phase of a project through owner occupancy. The Autodesk BIM 360 Layout app for iOS and BIM 360 web service provide vertical construction contractors the ability to connect the coordinated model to the field layout process, helping to increase job site productivity while improving the accuracy of staked or installed building components. Autodesk BIM 360 Glue is a cloud-based BIM management and collaboration product that connects the entire project team and streamlines BIM project workflows. With anywhere, anytime access to the most recent project models and data throughout the project lifecycle, BIM 360 Glue accelerates project reviews and empowers multidisciplinary teams to quickly identify and resolve coordination issues. Upload changes to the cloud and get groups to respond to action. Access and explore multidisciplinary models online or offline, review intelligent object properties, and take simple measurements. Autodesk BIM 360 Ops is a mobile-first asset and maintenance management solution that enables general contractors and building owners to realize the value of BIM in building operations. General contractors transform the handover process by connecting BIM asset data created during building design and construction to building operations. Owners begin operations on day one, with a mobile-first solution and the information they need. The BIM 360™ Plan web service for vertical construction contractors supports lean construction practices. Use BIM 360 Plan cloud and mobile software to help build more reliable project work plans, and to help reduce waste associated with overproduction, excess inventory, and task rework. CAD Masters, Inc. (CMI) has created CMI Tools for Civil 3D to enhance the capabilities of Civil 3D and fill in some of the gaps of the software. CMI Tools are included as a free benefit for customers who purchase their Autodesk Subscription for Civil 3D from CAD Masters. Or it can be purchased for $99/seat. Ever wish that you could create a point table that references stations and offsets for an alignment? Do you want more control over your styles and the ability to find and replace them, or globally edit them? Alignment and profile tools increase productivity in labeling, creating offset or intersecting profiles, and generating profiles from 3d polylines. Click here for a full product description and list of features. CAD Masters, Inc. (CMI) has developed a series of tools to enhance your efficiency in Revit. One of these tools is our Revit Quick Select feature. With the Revit Properties Palette, we can change the properties of selected elements while in the model. But it would be even better if we could select elements by specific properties but without all of the steps involved in using views, schedules, and filters. CMI Quick Select for Revit makes it easier to select entities by their property type. This and other features in CMI Tools for Revit will simplify and speed your design. CAD Masters specializes in the development, implementation, and documentation of CAD standards. We have developed this software program to meet our customer's needs in a single or multi-discipline environment. We also provide services to help you develop, customize, implement, and document standards specific to your firm. Well-documented CAD standards improve consistency, helping organizations produce better looking plans that are easier to read, and digital files that are easier to share. Automating those standards improves project collaboration, ensures consistency, speeds drawing production, and improves the accuracy and quality of the plan set. Create 2D drawings with the essential drafting tools in AutoCAD LT software. Powerful documentation tools help you produce precise technical drawings that you can efficiently edit and re-purpose. Share your work with confidence using Trusted DWG technology, the original and most accurate way to store and exchange design data. Speed your detailing and documentation work with tools built to increase efficiency and maximize productivity. Connect your workflow and collaborate with colleagues using integrated desktop, cloud, and mobile AutoCAD solutions. Autodesk Alias Design, part of the Autodesk solution for Digital Prototyping, is 3D design software, purpose-built for industrial designers who control the creative product design process: from the initial concept sketch to the final surfaces that are shared with engineering. Industrial designers can quickly go from compelling visual communications to concept modeling to production-quality models all within a hybrid 2D-to-3D workflow. Alias Design software enables industrial designers and creative professionals to collaborate across the variety of teams within product development, from marketing to engineering with its industry-leading sketching, modeling, and visualization tools that help create, communicate and drive innovative designs faster than the competition. Dynamo Studio software is a stand-alone programming environment that lets designers create visual logic to explore parametric conceptual designs and automate tasks. Help solve challenges faster by designing workflows that drive the geometry and behavior of design models. Extend your designs into interoperable workflows for documentation, fabrication, coordination, simulation, and analysis. Autodesk Fabrication ESTmep is a cost estimation software tool that lets mechanical, electrical, and plumbing (MEP) contractors produce more accurate cost estimates for MEP building systems projects throughout the detailing, fabrication, and installation workflows. Use your Fabrication database from CADmep/CAMduct/ESTmep to produce detailed models for fabrication. Use the vast spec-driven parametric component database. Advanced nesting improves material use. Built-in and custom post processors help speed production. Intuitive 3D sketching tool with native Revit interoperability. Conceptual design with location data, levels, images, and materials All the power of FormIt plus collaboration and analysis. Collaborate on models in real time and run energy and solar analyses. Fusion 360TM is a cloud-based 3D CAD, CAM, and CAE platform for product development. It combines industrial and mechanical design, simulation, collaboration, and machining in a single package. The tools in Fusion 360 enable fast and easy exploration of design ideas with an integrated concept-to-production toolset. Quickly and easily create civil infrastructure design models with Autodesk InfraWorks software (formerly Autodesk Infrastructure Modeler). Accelerate the design process, and enhance understanding of project constraints for better decisions. Generate data-rich proposals to better predict how design alternatives may perform in the existing environment and more effectively communicate with stakeholders. The Ultimate Suite also includes the Roads and Highways Module for InfraWorks which performs preliminary roadway engineering in 3D to help confirm scope, budget, and schedule. Insight integrates existing workflows such as Revit Energy Analysis and Lighting Analysis for Revit, which now includes expanded customization options. Inventor 3D CAD software offers an easy-to-use set of tools for 3D mechanical design, documentation, and product simulation. Digital prototyping with Inventor helps you design and validate your products before they are built to deliver better products, reduce development costs, and get to market faster. Inventor Professional builds on Inventor, adding simulation, routed systems, and tooling capabilities. Autodesk Navisworks integrated project review software helps architecture, engineering, and construction professionals holistically review integrated models and data with stakeholders to gain better control over project outcomes. Integration, analysis, and communication tools help teams coordinate disciplines, resolve conflicts, and plan projects before construction or renovation begins. Navisworks products include advanced tools to simulate and optimize scheduling, identify and coordinate clashes and interferences, collaborate, and gain insight into potential problems. The Clash Detection and Interference Management features are included only in Navisworks Manage. Autodesk�® Nastran�®, an industry-recognized FEA solver, analyzes linear and nonlinear stress, dynamics, and heat transfer characteristics of structures and mechanical components – providing real-time results and changes in solution parameters while solving. This high-end technology helps engineers and analysts to gain accurate results to complex simulations. Import, view, and convert point cloud data with the free base version. ReCap is available in most Autodesk suites or as a download, and offers 5 GB of cloud storage on A360 Drive. Autodesk Revit LT software delivers intuitive designs and documentation. Work in a 3D model–based environment that automatically updates your design when changes are made. Ease the transition to BIM using a simplified interface with integrated learning resources. Help meet client needs by exchanging designs with stakeholders using software based on the Autodesk Revit or Autodesk AutoCAD platforms. Revit�® Live cloud service turns Revit and Revit LT models into an immersive experience in one click, helping architects understand, explore, and share their designs. Autodesk Robot Structural Analysis Professional software provides structural engineers with advanced building simulation and analysis capabilities for large, complex structures. The software offers a smooth workflow, enabling engineers to more quickly perform simulation and analysis of a variety of structures. Structural Analysis for Revit�® provides cloud-based building structural analysis for engineers and designers as a part of the Building Information Modeling (BIM) process. This service is available to subscribers of select Autodesk software or to customers who have a current maintenance plan for select products. 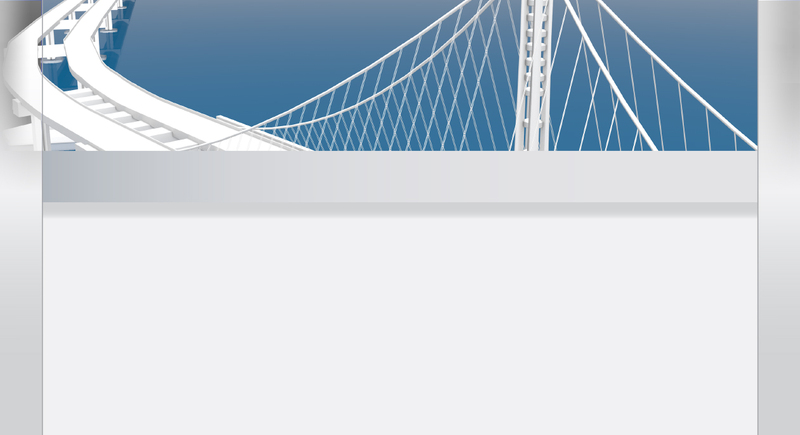 Autodesk Structural Bridge Design software helps engineers achieve greater flexibility and efficiency in the design of small- to medium-span bridges by integrating loading, analysis, and code checking processes. To help accelerate project completion, design options can be refined faster with automated updates in a define-analyze-code check loop whenever parameters change. Engineers can also improve accuracy and reliability by reviewing code check requirements with detailed “hand” calculation–style design sheets that are created with full formulae and code referencing. Using Autodesk Vault Office, you can organize all of your files and keep them in one location for easy access. All file versions are retained, so you never misplace or replace past versions. The vault stores each version of a file, along with any file dependencies, giving you a living history of the project as you work on it. The vault also stores file properties, such as the user name, date, and comments, for rapid searching and retrieving. Autodesk Vault data management software helps organize, manage, and track data creation, simulation, and documentation processes for design, engineering, and construction teams. Get more control over design data with revision management capabilities and quickly find and reuse design data, for easier management of your design and engineering information. Autodesk Vehicle Tracking 2015 software is a comprehensive transportation analysis and design solution for vehicle swept path analysis. The software enables engineers, designers, and planners to predictably evaluate vehicle movements. In addition, you can examine intersections using integrated analysis and simulation tools that are part of the total design process. Supported AutoCAD products include 2015 AutoCAD, AutoCAD Civil 3D, AutoCAD Architecture, AutoCAD Plant 3D, AutoCAD Map 3D, and AutoCAD Utility Design.